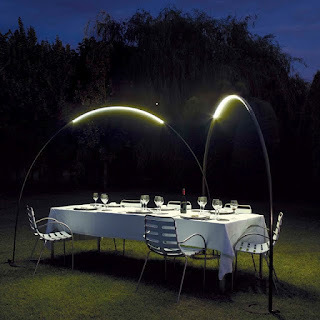 Designed by Jordi Vilardell and Meritxell Vidal, the Halley outdoor lighting fixtures from Italian lighting company Vibia is the latest in LED illuminating innovations. 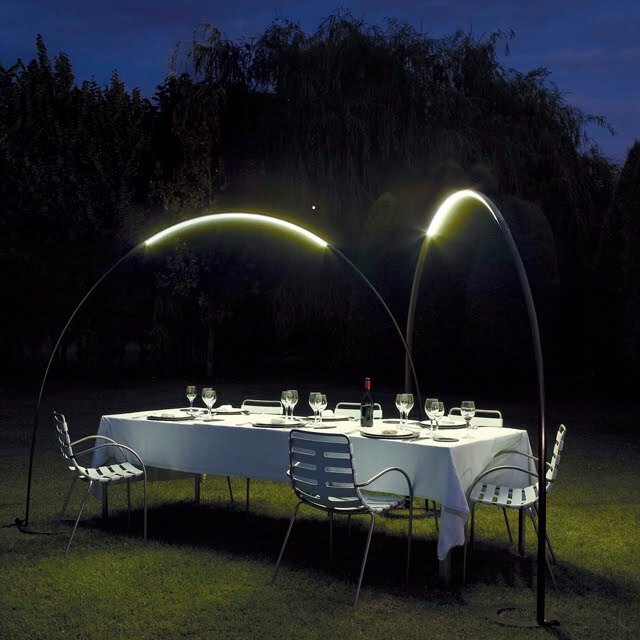 Inspired by Halley’s Comet, this unusual lighting fixture features an overarching shape that brightens the night sky with an LED light strip. Bathe your outdoor eating, seating and entertaining areas in warm light and make it a conversation piece. 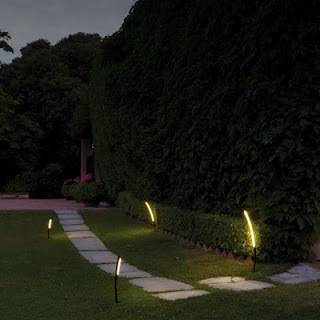 The Halley lighting comes in three basic shapes – ground-to-ground, ground-to-wall and ground-to-clamp – which can be connected to suit your space, and easily dismantled and reassembled when you’d like to move it. This outdoor fixture is waterproof, so rain or shine, Halley will shine on! For more information visit Vibia.